While Sam doesn’t believe in ghosts, he has to admit the hauntings are getting weirder…and more dangerous. Could bizarre mutant animals be the cause? At Horace Hotwater, they often are! Beware of furry ducks, slippery baked potato toppings, masked ninjas, and more in this laugh-out-loud mystery starring the world’s coolest class pet. 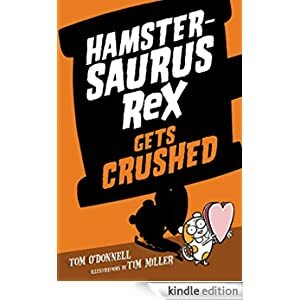 This fun book is for readers in grades 3-6 and is selling for $1.99 today.